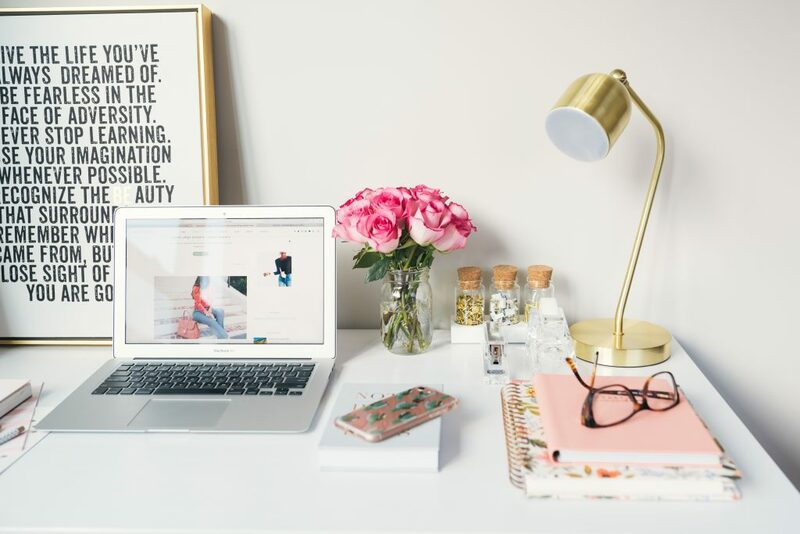 So you have recently started a blog, and now you are to the point where you're wondering how can I start to make money blogging. What exactly are the ways that people make money blogging? There are many different ways that you can make money blogging, but these are the most common. Keep reading below as I explain how each of these can earn even newbies can make money blogging. 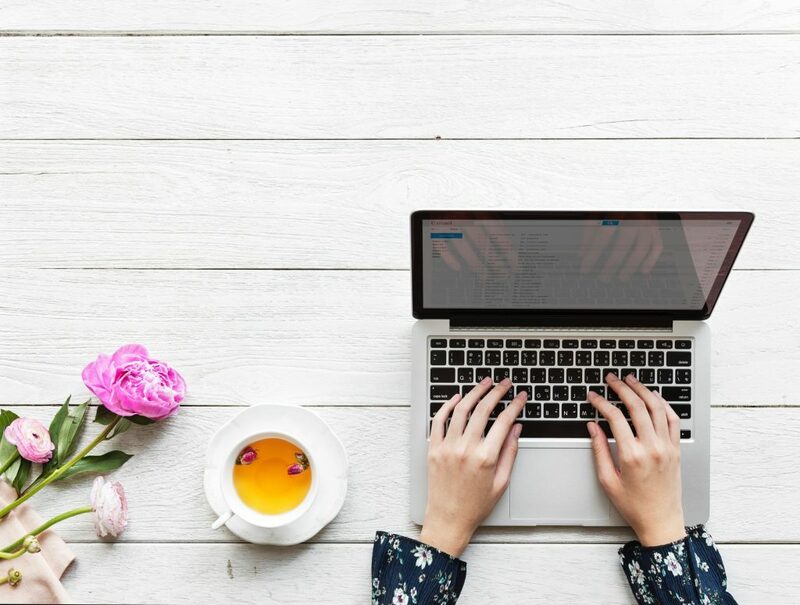 If you are interested in learning how to make money blogging, I created an easy to follow tutorial that will help you start a blog of your own for cheap, at only $3.95 per month for blog hosting. What is display advertising? How does advertising work on a Blog? Display advertising is when you place an advertisement on your blog. These are usually placed below your header image, below a blog post, in your sidebar, or in some other location on your blog. You will earn a certain amount of money for every so many views or clicks that engage with the advertisements on your blog. With display advertising the more pageviews that you receive on your blog the higher, your income will be from those ad networks. There are quite a few ad networks to choose from including Gourmet ads, AdSense, Ad Thrive, Media. Net, and many more. Most of these ad networks have certain requirements that your blog must meet in order to be eligible to be accepted to those ad networks. My favorite ad network for new bloggers and the one that I am currently still using is Gourmet Ads. If you are wanting to make decent money on your brand new blog by using ads, Gourmet Ads is the one that you need to team up with. When I first started with Google AdSense I was making just pennies compared to now. One of the things that set Gourmet ads apart from the rest is that your readers don't actually have to click on the ads for you to be making money. Instead, your revenue is based on page views. So, whenever someone visits your site, you are making money regardless of how long the visit is or if they click on anything. I highly recommend that every new blogger signs up for Gourmet Ads as soon as they can. 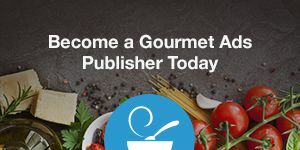 The Gourmet Ads sign-up process is very easy and after your approval, the company will reach out to you and help you get started with their ads. As a new blogger, I'm sure that you have heard the term affiliate marketing. There might be some confusion at the beginning about what affiliate marketing is and how to use it in your new blog. Affiliate marketing is when you place an affiliate link into one of your blog posts. You are trying to earn money from people buying the product through your link. This is an excellent way to earn money because if there is a product or service that you love, you will have an opportunity to make money by reviewing it and telling people about it. Affiliate marketing is great on every blog because you can create a post or review. And you can start earning money from that right away. You can also earn money for years down the road with minimal work needed to maintain that post. In essence, you have an opportunity to be making money off of those links for the life of the post. I am a strong believer that every new blogger should be setting up their posts with affiliate links right off the bat. 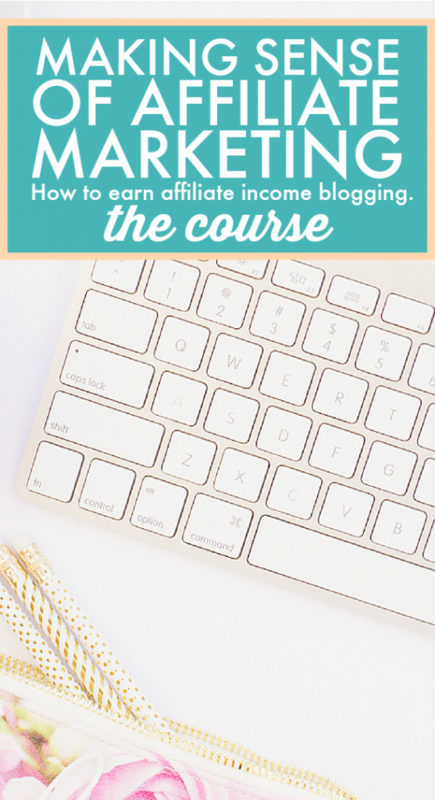 I recommend that you check out Michele's online course for bloggers, Making Sense Of Affiliate Marketing. She earns over $50,000 a month through affiliate marketing and she shares her exact strategies and tips in the course. Remember that you have to invest in yourself to grow this as a business. There are quite a few different affiliate programs available for bloggers. These include Amazon's affiliate program, ShareASale, Commission Junction, offer juice, and many more. Furthermore, individual companies may also offer affiliate programs or opportunities. So chances are if there is a product that you really love, there is probably some sort of affiliate out there for it. When you are having trouble finding the affiliates it is best to just contact the company directly and they can guide you. Below are some beginner tips for increasing your affiliate income. Only provide Real reviews. You should always be completely honest in your reviews. It will resignate more with your readers if you are open and honest about both the good and the bad. If there is something negative that you don't like about the product, mentioning it to your readers will build their trust and confidence in you. Publish amazing tutorials. Your readers will want to know how they can be using the product. If you are effectively able to show them how it can benefit them and how they can use it they will be more likely to purchase the product through your link. Have a killer recommendations page. This should be an easily accessible page on your blog where you can list valuable products and services that you use. You can see mine as an example here. Use the pretty link plugin. I use this for all of my affiliate links. It makes the links look cleaner and less spammy. it is a free plug-in that works wonders. Don't bombard readers with affiliate links. Have a nice mix of affiliate link heavy posts and some post that don't contain any affiliate links. Also, there is no need to include an affiliate link 100 times in one post. Add the affiliate link at the beginning, the middle, and the end. Sponsored posts are when companies are paying you to talk about their products. These might be in the form of a review, a guest post, using their specific links or advertising in a newsletter. There are many different ways that sponsored posts can work. Some companies send you a product for free in exchange for your review, and others have different requirements. 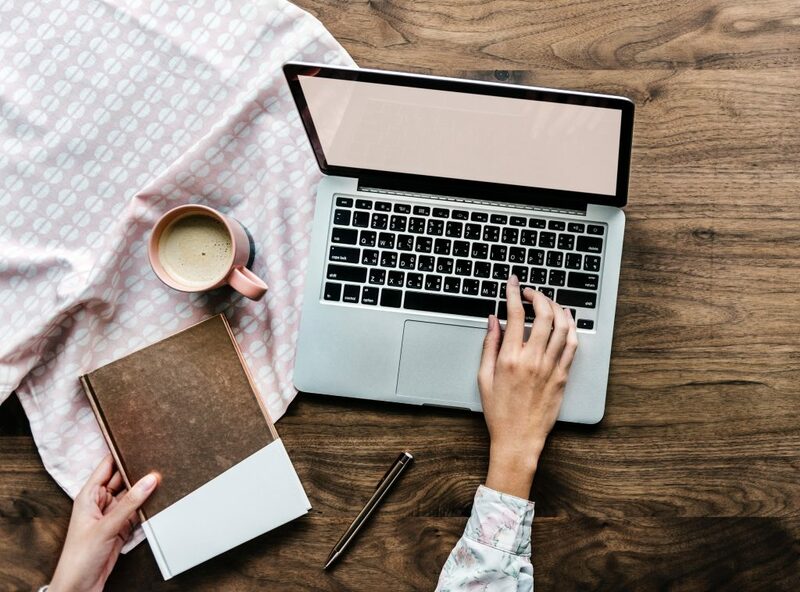 To find sponsored blog post opportunities you can either reach out to companies yourself or you can sign up for advertising networks like Linqia, or Izea. How do bloggers make money blogging with ebooks and courses? Ebooks are the first step into digital products for most bloggers. So, I haven't quite gotten to that step yet, but I'm hoping to start on my ebook soon. If you are an expert in your niche and have a topic that would be well-suited for an ebook or course then there is a lot of opportunities available for you to make money. Suzi Whitford has just released a new course about how to build ebooks and courses. Even though the course was just launched, I am working my way through quickly and I am excited to start diving into the world of ebooks and courses. you can check out many of her Great Courses Here. Are you interested in learning to make money blogging? What unique ways do you use on your blog to make money? Nice breakdown ADE! Sponsored posts are one of my faves; build your reader base and eventually, folks pay you to advertise on your site, via a post. Love it. Rocking post! Thanks and I totally agree with you!